Give yourself the gift of awakening creativity, intuition, embodied integration and deep profound healing through immersing in a whole weekend of Magic, Nature, Crystals & Sound. Have you had a really epic 2016 and want to fill your love cup up to overflowing with an amazing weekend being nurtured, pampered and totally loved up? Have you been doing a whole lot of internal 'self work' and feel the need for some true integration, rejuvenation, love and nurturing? Are you keen to develop your subtle intuitive skills by working with crystals, sound, sacred altars, sacred space, mandalas, mantra, connecting to nature and singing? Are you open to awakening all of your gifts, all of your potential and infinite possibility in your life? Are you open to receiving the gift of a weekend in nature that's truly especially for you? This is an Immersion Retreat that you are going to LOVE!!! Spend two full days and nights with Clare Sentience in the heart of nature, music, crystals, meditation & song! I want to invite you to Come Home. Come Home to a place of rest, rejuvenation, stillness & grace. Come Home to your heart, to your gifts, to your soul and to the song that sings through you. Come Home to the peace of surrendering to love and letting go of needing to DO anything and simply BE a vessel from which creativity and life flows through, free from resistance and struggle. Come Home to a safe, sacred space where all the work you’ve been doing can finally be integrated and you can let go of 'processing' and embrace the state of 'experiencing'. Come Home to truly enjoy life, enjoy all the gifts you have uncovered and discovered about yourself and give yourself the gift of a break, a rest, a retreat in an immersion of sacred sound, dreaming tea, ceremonial cacao, profound ritual and creating sacred space within & all around you for optimal awakening of your truth, your gifts and your purpose, your life - lived completely to the full!!! WHEN : Saturday December 17th 11am to Sunday 18th of December 12 noon. WHERE : A beautiful spacious fern filled sanctuary in the heart of nature in Koo Wee Rup, Victoria (1 hour from Melbourne) accommodation included. FOOD : A nurturing nourishing lunch of organic vegetarian food grown on the farm will be provided on Saturday. BEDDING : Participants will be sleeping in the comfortable, luscious Temple Space for the Crystal Heart Dreaming Ceremony on Saturday night. Bring comfortable bedding & blankets. ANYTHING ELSE : Sacred Items & treasures from home for your personal Crystal Dreaming Shrine/Mandala are most welcome. Are you ready for love to SING through you? ~ Create a Crystal Dreaming Grid & receive the healing from pure sound & crystals. ~ Create Sacred Space in the home & garden. ~ Take home a crystal that will be gifted to you. 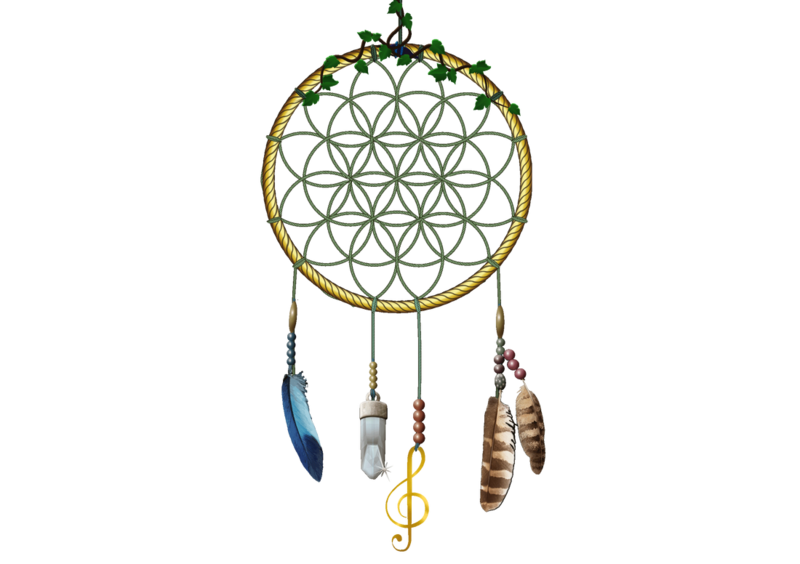 ~ Sing a variety of medicine songs from around the world to open the heart, connect to the elements, tune in to nature and clear space. ~ Meditate, pray and receive guidance from deep within for the next phase of the journey. 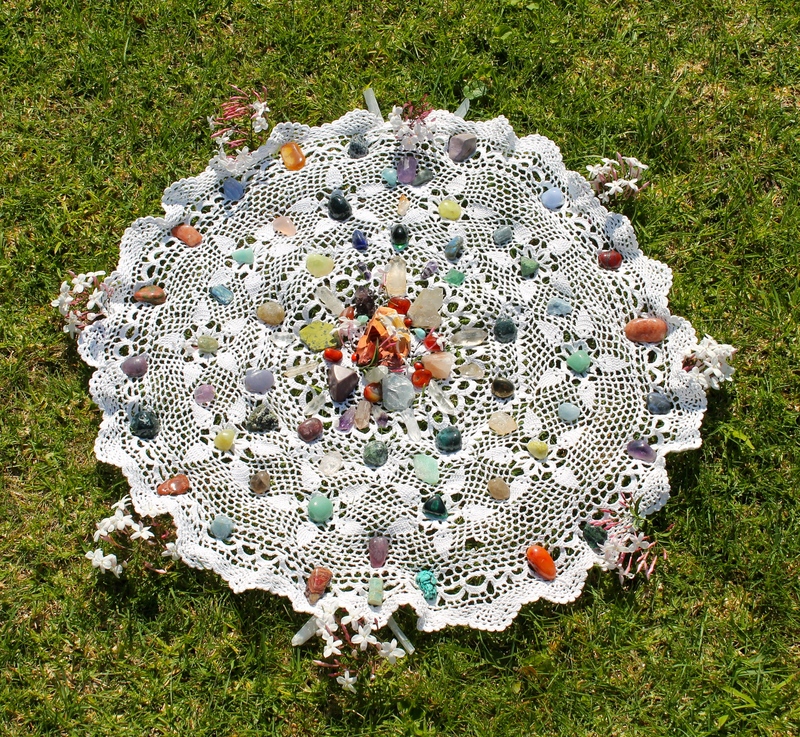 ~ Manifest your hearts deepest desire through prayer, intention, song and intentional crystal grids. ~ Awaken a deeper more intimate connection to the earth through song & meditation. ~ And SO much more. CONTACT : Clare Sentience : info@claresentience.com to confirm your place ASAP. Numbers are limited to 8 participants including 2 assistant/support people. Your hostess for the weekend will be Clare Sentience, Facilitator of Sacred Women's Business women’s circle and Creatress of Elemental Voices 6 week Soul Voice Activation course & workshops, Crystal Healing 6 Week Workshop Series, Soul Voice Activation Choir and Divine Shamanic Sound Healing Journeys. Clare has been participating in, attending and hosting retreats, workshops, courses, sacred ceremony & rituals for over 10 years and is VERY excited and passionate about bringing people together to go deeper into the mystery of life, love, music and crystals. This immersion retreat is a creation of deep love that has been in gestation for many years, awaiting a perfect location and state of being from which to deliver such potent magic. Now with 60 pristine acres of lush land and a divine sanctuary space overlooking a large fruit orchard, a creek and fields of organic vegetables, the space for this retreat to be gifted to the world is finally ready. This immersion retreat is the natural progression and next step for those wanting to learn more about themselves, drop in deeper to a state of grace, love and divinity, awaken the healing power of their voices, tune in to the magic of crystals and be with the joy that happens when we gather in ceremony to unlock the truth, the power and the joy of expressing all of our gifts, all of who we are with the world from a state of inner peace, stillness & grace. As an offer of a precious GIFT and to share the love I feel for humanity as much as possible, ONE place for this beautiful Immersion Retreat will be gifted to someone in financial hardship or in great need. To apply for this GIFT you will need to send me an email and follow these FOUR simple steps. 1. Click ' Like ' on all four Clare Sentience, Clare Sentience, Elemental Voices & Thriving Foods Farm pages. 2. Click " GOING " on the event page. 3. Invite your friends to join you at the retreat by inviting pals to the FB event. 4. Share this event on your wall & with friends. Share the love - receive a whole lot of LOVE especially for you in return!!! 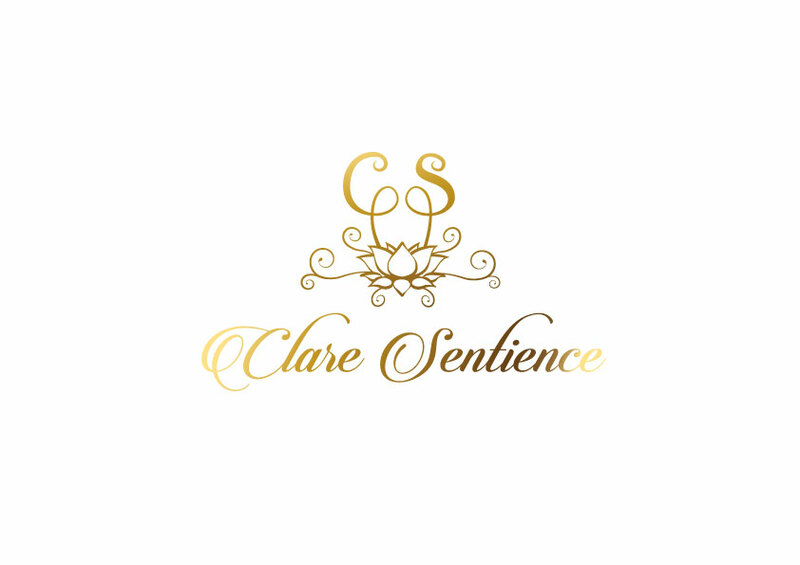 Email ASAP to : info@claresentience.com : include your name, contact details and why you would most like to win the GIFT of a retreat of total self love that is especially for you. I am so excited to share this special retreat with you!